This post came about as a result of a question I encountered a while ago- is there a correspondence between the Tarot court cards and the signs of the Zodiac? The answer I came up with is yes, but it's not an exact one. The same problem as drawing parallels between the Tarot and Runes comes up- you're really comparing apples to radial tires in a lot of ways. This is not to say one is superior to the other- not at all. That would be like saying the black keys on the piano are superior to the white keys. Each one has a different focus, and each one can be an invaluable tool for self understanding and learning. Having said that, what issues are there in trying to compare your Sun sign (the most commonly used Zodiac aspect- where the Sun was at the time of your birth) and what Tarot court you fall under. There is a system that uses the date of your birth to calculate which Court card you fall under, and this can also be done with your Sun sign. So, if we take Fire to indicate a Cardinal energy, Air to indicate a Fixed energy, and Water to indicate a Mutable energy, we're still left with Earth. Should we call it a prima materia, the building blocks for the other suits? Consider the aspects of Earth- malleable, subject to influence, yet steady and unchanging. This was a challenge I also ran into, where to put Earth? Water likewise can be a powerful force, but can also be very flexible, mutable and subtle. 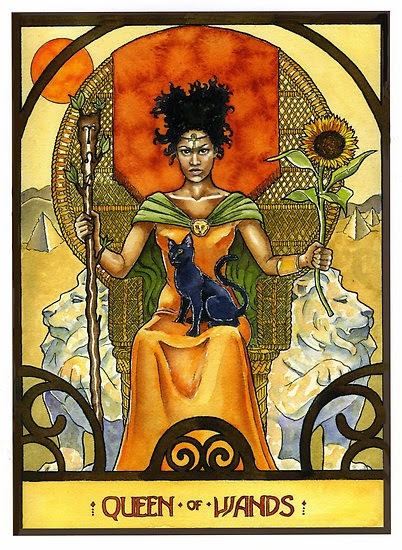 And look again at the Court cards- Water of Fire, the Queen of Wands, can be flexible and emotionally responsive (as well as emotionally susceptible to the world around her). And it's important to keep in mind too that the Zodiac has this in common with the Tarot- they do predisposition you to certain characteristics or decisions, but do not compel you- they influence, but do not dictate. The choice, as always, is yours. So where does this doubling up come from? 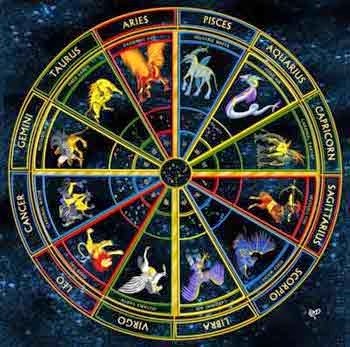 Notice that only some of the Zodiac signs have one Court, while others have two. This is due to the fact that the Courts are divided by elements, not by the characteristics of cardinal, fixed or mutable. The assignments of the Courts here reflects what their commonly accepted characteristics are- how they work, in other words, and how this is similar to the elements and how they likewise operate. Confused yet? Hopefully not. But like I said, here we have two different systems. They share common characteristics, but do not dovetail exactly. One interesting aspect is that the Zodiac operates on a fixed system- the stars and planets are more or less able to be calculated in terms of their position, and move through fixed orbits. The Tarot courts have as their focus the individual person, and well, that's a whole other can of worms. People can change, and can occupy multiple roles at a given point in time. One of the most notable changes is maturity- in many cases a Page is considered a less mature person, a Knight somewhat more so, until finally that person moves through the course of their life to arrive at a King or Queen. This too is consistent with the characteristics of the elements of these cards, though in the Zodiac these signs do not change. The positions of the planets (relative to the Earth, that is) do change, and in many ways we could consider this a parallel path to the evolution we see in the Tarot courts. It's important to note also that the Tarot court card that applies to you in any given situation can and does change- starting a new job or beginning a college career may put you in a very Page frame of mind- successes, hard work and dedication, riding high on a recent victory can likewise put you in a Kingly state of mind, or a Queenly one. People change from day to day, and the situation you are in may emphasize a particular characteristic, or particular set of strengths and personality characteristics you may have. 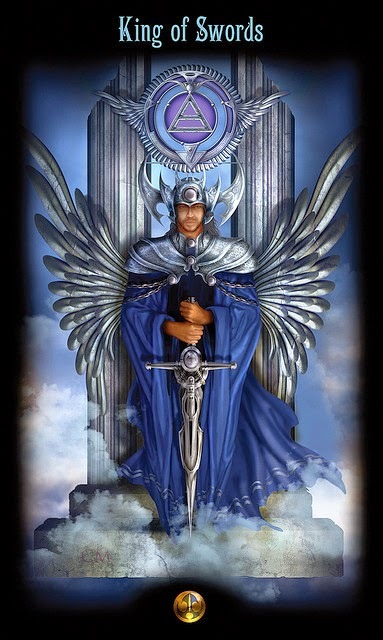 It's certainly possible to occupy multiple Courts at the same time- you may rule the roost as a Queen of Pentacles, but your drive and determination at your job as you press on for that promotion puts you squarely in Knight of Swords territory. What card is you? They both are. 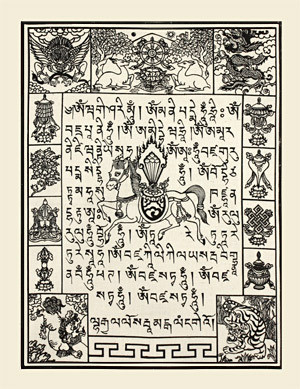 We all contain aspects of these cards, to a greater or lesser extent, in the unique mix and combination that makes us who we are. Sounds familiar? It sounds a good deal like an astrological natal chart to me. What influences come together to make you who you are? To tie it all together, there are similarities between the two systems, perhaps because once again we see the common factors in human experience. However, there is a different method and different focus here. Astrology points to external influences on a person, in this case where the planetary bodies are relative to where you started from. The Tarot brings environmental factors into it as well, as well as mental factors. Again, one system is not necessarily better than another, but does have a different focus. Which one works best? That depends on the question, and what you're looking to learn. We are surrounded by influences, and some of these can be much more persuasive than others, while different factors can be compelling on one person and completely overlooked by another. We live in the midst of a vast, complicated system of interaction and influences, and in the middle sits us- on a journey to understanding and enlightenment. Let your light shine, fellow seekers!